While they may not yet have arrived at your local car dealer, hybrid cars are still slowly growing in prominence in Australia. No longer typified by the Prius alone, there are a number of new hybrid vehicles arriving on Australian shores. Trends in the U.S. market indicate that while full-combustion engines are hanging on as the majority of sales, they will eventually be unsustainable. Perhaps the biggest indicator of this looming shift is the European Union's 2020 Regulation Standards - a required 40 per cent reduction of CO2 emissions, down from the 2015 standard of 130 g/km, to 95 g/km. Europe's car manufacturers already have hybrid technology in their back pocket to account for the coming changes, so an increase in hybrid cars is to be expected over the next few years. In today's blog, we'll look at five hybrid cars which are rolling out in Australia right now. The IONIQ is Hyundai's response to the success of the Prius - it's been generating excitement since it debuted in South Korea in 2016. Its efficiency and reliability has since been proven during its American release in 2017. Slated for release in Australia late last year, the IONIQ is a five-door compact, and comes in hybrid, plug-in hybrid, and fully electric. The best part? The price tag starts as low as $37,000. The i3S is the sports model of BMW's i3 - the smallest non-combustion car in their fleet. The i3 was initially released in Australia back in 2013, and was the only battery-powered car in Australia under $100,000, until the i3S hit our roads in 2017. Able to reach 100 km/h in 6.9 seconds, the five-door hatchback i3S can be yours for under $80,000, and allegedly has the potential to lower your car-based carbon footprint to absolutely nothing. 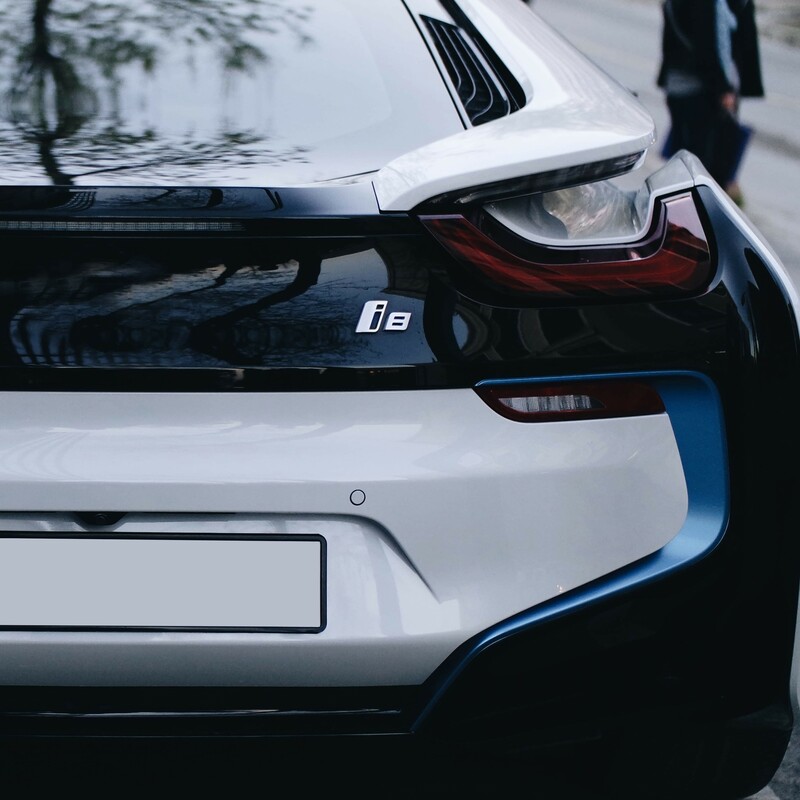 The up-market cousin of the i3S, the i8 is a plug-in hybrid coupe with a lithium-ion battery-powered electric motor, coupled to a three-cylinder petroleum engine. The i8 hits 100km/h in about half the time it takes the i3S - around 4 seconds - and has a convertible variant for those who want to trade the back seats for an open-top Sunday drive. The i8 is a less-casual purchase than our first two options - it's on shelves for around $300,000. The Nissan Leaf 1.0 has been around since 2010 - the 2.0 debuted Tokyo 2017, and boasts a range of new tricks. Alongside improvements to the driving range and energy efficiency, the Leaf 2.0 has a front-wheel drive that not only accelerates, but also decelerates the car. Dubbed 'e-Pedal' by Nissan, this feature appears as a regenerative-braking drive-mode which absorbs energy from the brake systems and stores it for later. We'd have to see it to believe it, but it's been said that given typical road conditions, it essentially renders the use of the brake-pedal meaningless. You may as well try it for yourself - the price of admission is only about $35,000. A late 2018, early 2019 release, the AMG CLS53 is the first of Mercedes' new 'mild-hybrid' vehicles. The car features a starter motor between the 3.0 litre engine and the transmission, with a startling array of uses. Along with acting as a starter-motor and hybrid-assist, it also gathers kinetic energy like the Leaf 2.0's e-Pedal. While hybrid cars may not be the only way forward in the future, they're certainly growing in significance - and importance - in the Australian market. If you're interested in exploring your options around hybrid cars, talk to the team at our dealerships. We've got you covered for new and used cars in Australia. Talk to us today, and we'll see you drive away happy, no matter what type of car you're looking for.